Home prices soared in Pinellas and Hillsborough counties in January, the highest gains in several months. Prices for single family homes also rose in Hernando and Pasco as the shortage of available homes showed no immediate sign of easing. The bay area market reflected a broader trend of rising prices and sluggish sales. Nationally, prices for existing homes — houses, condos and townhomes — rose 5.8 percent in January compared to a year earlier but sales plunged by 4.8 percent, the biggest decline in more than three years. In the Tampa Bay area, the median price of a house in Pinellas shot up 14 percent to $245,000. That was the biggest year-over- year increase since May. But the number of closed sales plunged by 12.8 percent. In Hillsborough, prices jumped nearly 12 percent to a median of $234,945, the biggest increase since a year ago February, according to figures released today by Florida Realtors. Hernando’s median price rose 11.8 percent to $155,000, certainly an impressive gain but several percentage points less than during some months of last year. In Pasco, the median price rose 5.8 percent to $186,400. But while steady price increases have been good for sellers, the market might soon be changing. Rising mortgage rates would further depress sales. Rates for a 30-year, fixed rate mortgage are now in the 4.5 percent range, the highest in four years. Even a half point increase could jack up a monthly mortgage payment by $100 or more, enough to shut some buyers — especially first-timers — out of the market. Fortunately, Tampa Bay still has the lowest housing costs among competing metro areas in Florida and other parts of the country, according to a Cost of Living Index report issued this month by the Tampa Hillsborough Economic Development Corp. In the bay area, the cost of housing is 77 percent of the national average, about 12 percentage points less than that in Jacksonville and Orlando and far less than in Austin, Dallas and Denver. Tampa Bay “is attracting national attention for its vibrant food and craft beer scene, entrepreneurial buzz and amazing quality of life,” Michelle Bauer, chief marketing officer for the Tampa- Hillsborough organization, said in a statement. Bauer noted that the bay area ranks No. 1 in Florida for the availability of high-wage jobs in fields like information technology and financial services. “The excellent career opportunities combined with affordable home prices make Tampa an ideal place” to live, she said. Pinellas County recorded January’s top sale: $3.63 million for a six-bedroom, six-bath house under construction in Indian Shores. Listed for just $20,000 more, the house has a pool with a waterfall and a 30-foot-wide wall of glass looking out on the Gulf of Mexico. In Tampa, a four-bedroom, five-bath estate overlooking the 17th hole of the Palma Ceia golf course sold for $3.4 million, nearly $300,000 less than the asking price but still Hillsborough County’s top sale of the month. In general, agent Jennifer Zales said, luxury homes that are updated and appropriately staged sell faster and for a higher price. Pasco’s priciest sale in January was $1.025 million for a 4,500-square-foot home in Trinity’s Champions Club area. 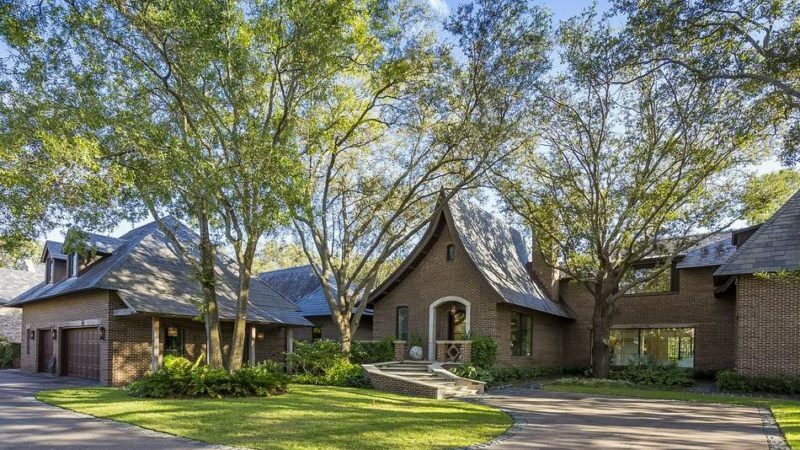 And in Hernando, a buyer paid $400,000 for a 4,000-square-foot home on 3.5 acres in Weeki Wachee. For Florida as a whole, the median price of a single family home rose just over 9 percent to $240,000. Closed sales dropped by 1.3 percent.